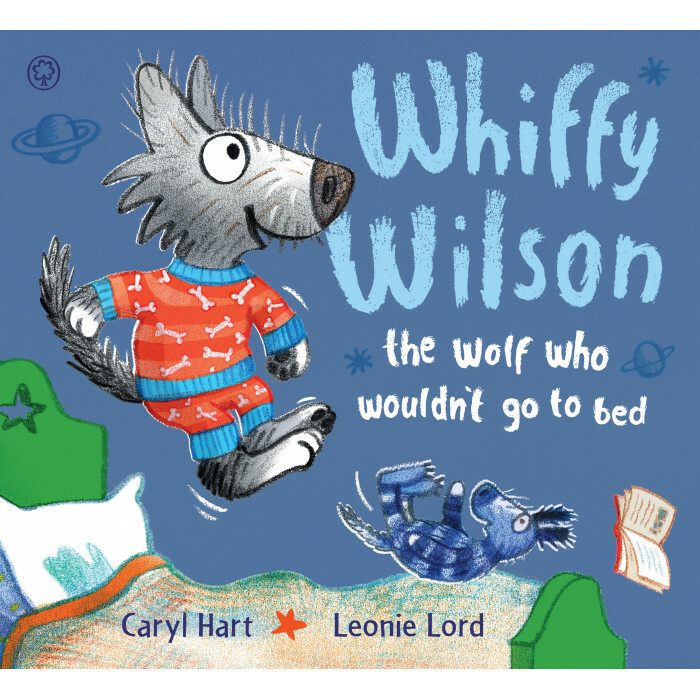 From bestselling picture book author, Caryl Hart, winner of numerous awards, comes an hilarious story about not wanting to go to bed - a familiar theme in many households - help your child love sleeptime with this book. Whiffy Wilson thinks bedtime is boring. He wants to stay up ALL night long, playing his saxophone, building forts and learning magic tricks. Big boys like Whiffy NEVER go to sleep! Luckily, Whiffy's clever best friend Dotty is on hand with cosy pyjamas, exciting bedtime stories and a yummy nighttime feast. And before long, Whiffy Wilson discovers that bedtimes are the BEST! Willful wolf pups (and little children) will soon learn to love bedtimes with this funny and soothing story.